Exotic animals are different, not difficult or dangerous! 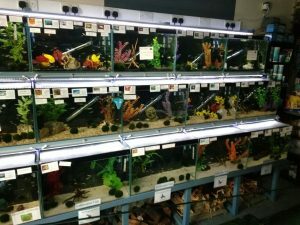 From the novice keeper who wants an alternative type of pet, to the more advanced keeper looking to expand a collection, we can provide just what you need to enjoy your hobby. Our aquatic livestock comes for some of the UK and Europe’s leading suppliers to bring you some of the more unusual species not often found in larger aquatic chains. All our aquarium fish tanks are individually filtered. No re-circulating water, no cross contamination! During the spring and summer we have a range of pond fish, Koi, foods, filter materials, treatments and live pond plants. 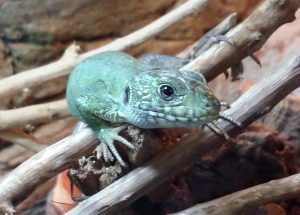 Our reptile stocks include a good selection of snakes, lizards, spiders, scorpions and much more. Livefood is delivered every Wednesday morning. Every box is checked on delivery and fed on fresh greens to keep them alive and in good condition for your pets. We also stock a range of fresh Aquatic live foods such as Bloodworm, Glass worm and Daphnia. For special offers, behind the scenes updates, stock prieviews and product info, subscribe to our multi media outlets. Check out our range of goods from the product pages.If you are looking for something specific that isn’t listed, Contact us to make a special request. Holiday boarding is available for all types of small animal and is housed in our upstairs quarantine area, and therefore not mixed with our sale stock. 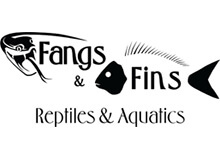 We look forward to welcoming you to Fangs and Fins! Book in at our pet hotel from a weekend away to a summer holiday. 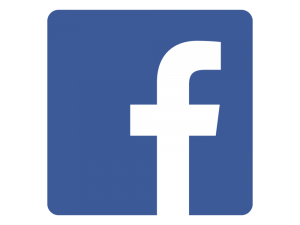 Take a look at all our latest stock listed on our Facebook page. Contact us if you need help choosing your very own mini beast! We are open Monday to Saturday 10am - 5pm, closed Sundays.